The new issue of The Vow is here, and it’s hotter than ever! With wedding season is in full swing, and thoughts of summer nuptials and late night celebrations, we’re channelling sunny, feel-good vibes on every page. To celebrate. 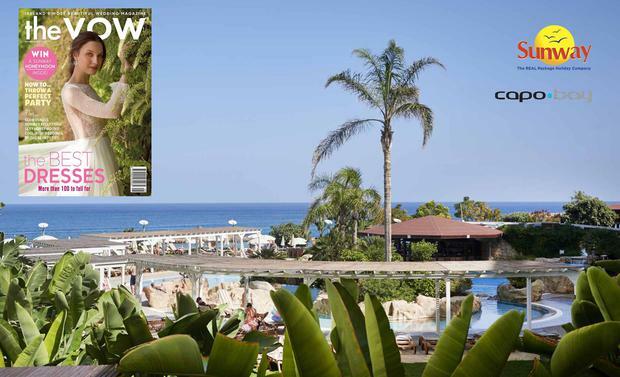 The VOW magazine has teamed up with Sunway Holidays to offer one lucky couple the chance to win their honeymoon to the 4*+ Capo Bay Hotel in Cyprus! You and your loved one could be jetting off for a fabulous seven night stay in 4*+ Capo Bay Hotel in Protaras, Cyprus. Cyprus is the third-largest island in the Mediterranean, and one where visitors can expect a big welcome from the friendly locals. The country is rich in history and culture and is packed with wonderful experiences that are waiting to be enjoyed. You’ll be staying in the beautiful Capo Bay Hotel, an elegant and stylish beachside hotel designed for maximum comfort and luxury. The hotel is inspired by the sun, sea and sand, and will ensure that your honeymoon is one of absolute comfort and relaxation. Located next to the award-winning Blue Flag Fig Tree Bay beach in Protaras, there are plenty of exciting water sports on offer, with swimming and diving facilities available close to the hotel, as well as a chic swimming pool and a gym. The national park, Cape Greko, is the perfect spot for a romantic walk or leisurely cycle. Sunway are the experts in helping honeymooners choose the perfect destination to suit their needs. Whether you want to escape to a romantic hideaway with sun-drenched beaches, stay in a luxurious 4* or 5* all-inclusive hotel in Mexico or Dominican Republic, cruise through the idyllic islands of the Caribbean, travel to the exciting destinations such as Dubai, Thailand, Bali and South Africa or enjoy the stunning scenery on a romantic break to Cyprus, Sicily, Sorrento or Lisbon Coast Sunway can tailor make every aspect of your honeymoon. As an Irish-owned family business with more than 52 years’ experience we like to stay close to our customers so we can design the best holiday options at great prices and with a high level of service. For a full range of fantastic hotels, luxury cruises and popular honeymoon destinations visit Sunway.ie. 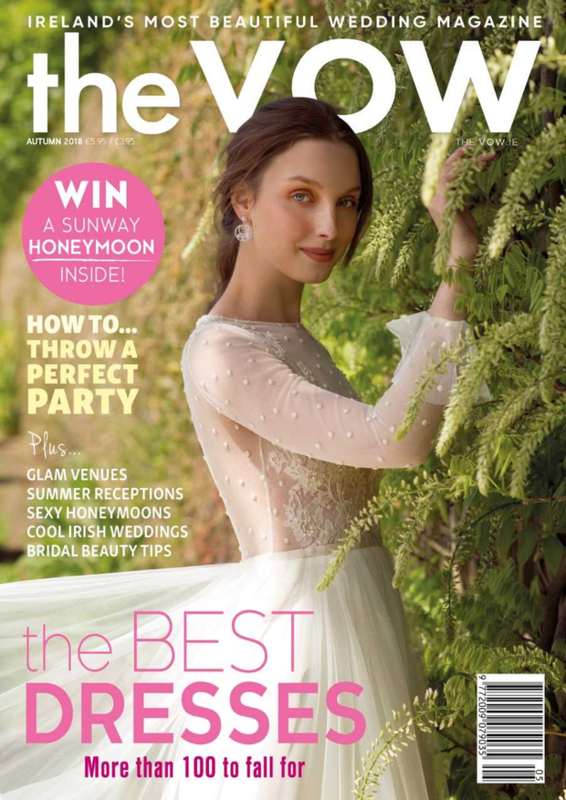 The Vow Magazine Winter 2018 - on shelves now!